Is Alexa Down? Or Is It Just You? Is Alexa Down ... Or Is It Just You? Is Alexa really down? If your Amazon Echo is not responding, are the Amazon servers down? Or is it just you? This is an important question to answer when Alexa is not working. If the problem is on your side, waiting for Amazon's servers to come back up could literally take forever. But don't worry, there are a few ways we can tell if the Amazon Echo service is down as a whole or if it is just you. The first thing to do is simply ask her. Alexa has the ability to check the network status herself, so she'll let you know if there is an Amazon Echo outage or if the servers are down. If Alexa says everything seems to be working, try using a different skill. Ask her about the weather. If Alexa is says she's having a problem, if she's encircled by an orange glowing ring, or if you tried the above step to no avail, you may need to reboot your Echo device and possibly the router. 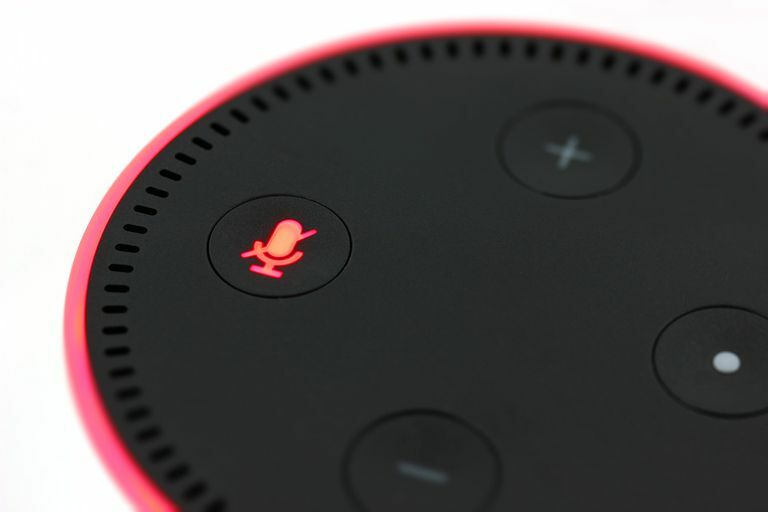 If your Amazon Echo device has a solid red ring and Alexa isn't responding at all, the mute button has been turned on. Tap the Microphone button to toggle mute on or off. You should warn anyone connected to the Internet before rebooting the router. Everyone connected to the router will lose their Internet connectivity for a few minutes. If the problem doesn't appear to be with your own device, you should check to see if the rest of the Internet is having the same problem. If Amazon's servers are down, you won't be able to use your Alexa device. This includes giving Alexa commands to control your smart home devices. Even though everything is in the home, Alexa needs to send your voice commands to Amazon for interpretation before knowing what to do. Search Twitter for #alexa or #alexadown. Remember to tap the Latest tab at the top of the search results to get the most up-to-the-second results. When a major service like Alexa goes down, it's usually all over Twitter in a matter of seconds. Check a down detector. These are websites that monitor complaints on social media sites like Twitter and Facebook to determine outages. Unfortunately, these aren't perfect as not every complaint is due to a server issue, and highly populated areas can produce slightly more inaccurate reports. However, a major outage is usually pretty clear on the down detectors. A few good websites to try are are downdetector, outage.report or Is It Down Right Now? Check Alexa on your smartphone. The Alexa app isn't just for setting up your new Echo device, you can also use Alexa through it. Tap the blue circle at the bottom to speak with Alexa. If Alexa is working on your smartphone but Amazon Echo service is down, the problem may be with the smart speaker. Is Alexa Down Just For You? If Alexa told you she was having problems, Twitter or down detectors aren't reporting any problems, and especially if Alexa works on other devices, the problem is on your side. This is usually a quick fix, but if the Internet is out on all of your devices, you may have an issue with your provider. Reboot your Echo. This is as simple as unplugging your smart speaker from the wall and then plugging it back in again. It will take a few seconds for the Echo device to fully reboot. You will see a blue light as it reboots. When the blue light stops flashing, it's ready to take instructions. Try asking if she's down again. Reboot the router. Talk of routers can sometimes make people nervous, but rebooting the router isn't much different than rebooting your Echo. Unplug it from the wall, wait a few seconds, and then plug it back in again. Remember to warn anyone in the household. Everyone will lose Internet until the router boots back up and reconnects. This can take several minutes. Make sure you're connected. Double check that your Wi-Fi network is connected to the Internet. It's easy to use our smartphones and believe we are properly connected, but your smartphone can connect via 4G rather than Wi-Fi. Use a laptop or tablet to verify the connection, or if you don't have access to these devices, turn of data connectivity on your smartphone and then try to access the Internet. If you are having problems with your Internet connection, or guide to troubleshooting wireless networks may help. Re-connect to Wi-Fi. Try connecting the Amazon Echo to Wi-Fi through the Alexa app on your smartphone. This will ensure you have the right password and are connected to the Internet. In the smartphone app, tap Devices at the bottom. Tap the Change button next to Wi-Fi Network. This will walk you through connecting to Wi-Fi. Try a new password. If your Wi-Fi password uses the asterisk symbol (*), try changing the password to something without this symbol. Some users report problems connecting with the Echo when this symbol is part of the password even when other devices can connect fine. Reset your Echo. The last step is to reset the Amazon Echo to factory default. Refer to Amazon's instructions on how to reset your specific Alexa-enabled device. After the device is reset, you can set it up just as you did when it was fresh out of the box. This should solve most issues with the device itself. What Can Alexa Do Without the Internet? If Amazon's servers are down or if you can't connect to the Internet, Alexa will be severely limited. Alexa is considered a "thin" client, which means most of the heavy lifting is done on Amazon's side. Your Amazon Echo speaker can still act as a Bluetooth speaker, but you must have previously paired the smartphone, tablet or other device with your Echo. The Echo speaker may experience problems pairing new devices without an Internet connection.